Home » Which Espresso Machine Is Best? Which Espresso Machine Is Best? If you’re new to making espresso, trying to figure out how to find the best espresso machine can feel like a completely daunting task. There are so many to choose from, with different features and price points. How do you know which espresso maker you actually need? How Hard Will Your Espresso Machine Work? Does It Use Steam Pressure? What Can You Expect from Your Experience? So Which Espresso Maker Is Best? At the most basic level, there are manual and automatic espresso machines. There are subcategories under the automatic level, so you can either have a lot of control in making your drink or barely any. 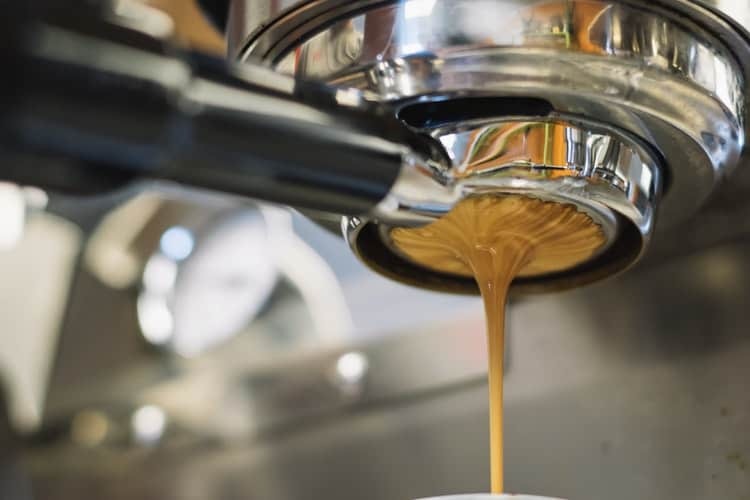 There are some outliers, too, that don’t really fit into the traditional espresso machine category that could be used to make your espresso, but they aren’t necessarily recommended. Even if you’re on a budget, there’s an espresso machine that could work for you. Manual espresso makers, sometimes called piston espresso machines or lever machines, will give you all the control. They’ll also typically cost less than other versions, though there’s always room to spend over $1000.00 on one if you really want to (there are some beautiful machines!). They’re significantly less than the super-automatic machines but still less than fully automatic and semi-automatic machines. You can find some capsule machines, like the Nespresso Vertuo Evoluo Coffee and Espresso Machine with Aeroccino by De’Longhi, that is roughly the same in cost as certain manual espresso machines (like the Flair Espresso Maker Bundle Set). So if you know your way around an espresso maker or don’t mind learning more about water pressure, temperature, pull time, putting the machine together and taking it apart (nothing extreme), this is the one for you. A lot of these take up less counter space than the automatic options. Plus, some of them look really cool. If you like having conversation starters sprinkled around your house, there are some manual espresso makers on the market that will work like a charm. With the manual espresso machines, you’ll only make one shot at a time. You’ll need a kettle that shows the temperature the water is at, plus a separate grinder (unless you prefer to purchase pre-ground espresso when you’re starting out). You’ll also need more time. You’ll spend time taking the machine apart and to put it back together each time you make your espresso. Using one of these machines takes some time, too, but if you love being able to make tweaks to things and think you’ll enjoy experimenting with your espresso, it’ll be worth it. Super automatic espresso makers are perfect for people who want their drinks to taste good, aren’t especially picky or experimental when it comes to making their espresso beverages, and just want it done at home so they can save money more than enjoy the art of making espresso. They’re also perfect for people with extremely large budgets to be spent in their quest for the best espresso machine. These may seem like the perfect espresso maker for a lot of people, but not everyone will choose to spend that much money on a single machine. They can be $2000.00 or more. That said, some machines are only a fraction of that cost. These machines can control everything in the process for you—from grinding the coffee to frothing the milk—and all you really need to show up for is the gorgeous, steaming cup of espresso at the end. 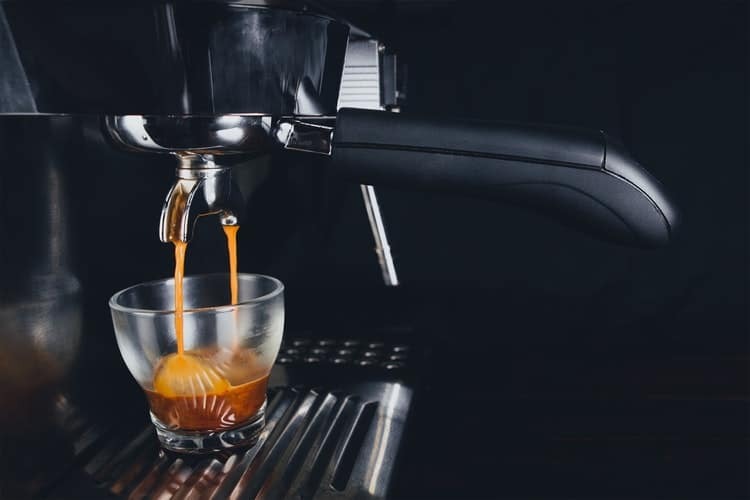 If you love the idea of the super automatic espresso makers but your bank account has a different opinion, an automatic espresso maker (sometimes called a fully automatic machine) might be a better choice. Fully automatic espresso machines are a step between super automatic and manual (there’s also a semi-automatic machine that does a little less). These cost more than semi-automatic machines but may not do so much more for you that it makes sense to pay the price for a fully automatic espresso machine versus a semi-automatic one. The automatic machines will control the flow of water, whereas you’re in charge of that with the semi-automatic. A semi-automatic machine will give you a lot of control (and therefore responsibility for how your shot of espresso turns out), but you won’t have as much control as you would with a manual machine. You’ll have to do the grinding, tamping, and then attach the portafilter. Flip the brew switch, let the water go as long as you need, and then turn off the brew switch. Capsule espresso makers, like Nespresso machines, are some of the easiest to use, but you’ll have to relinquish control. Fill the reservoir with water, pop the capsule in, press the brew button, and wait. These machines aren’t usually all that expensive but keep the cost of capsules in mind. You may negate the savings of buying that machine by purchasing those, depending on your espresso-drinking habits. There’s also a large variety of capsules with different blends and features if you like to play around with your coffee flavors! Moka pots are a stovetop method that can make coffee that’s similar to espresso, but it’s really better to choose a different type of espresso machine that will be less likely to burn the coffee and render something undrinkable. There’s nothing worse than putting the effort into making your espresso, heating and warming your milk, and adding the flavors you’d like, only to find out the espresso tastes too burnt and bitter for even the milk and syrup to overcome it. If you’re looking for an inexpensive espresso machine and don’t feel comfortable with any of the manual ones, an AeroPress will be a better option than a Moka pot. It doesn’t make true espresso (so we wouldn’t “recommend” it, exactly), but the results will likely taste better than what you’d get with a Moka pot, with only minimal time spent learning how to use it. Most machines will make one or two shots, one drink at a time. Some machines are designed to make more beverages throughout the course of the day than the average customer would need, and they can make two at a time. However, those could cost you as much as $5000.00 or more, and most people don’t need to make 20 espresso drinks in a day. In general, manual machines will make one shot at a time, while some automatic machines will make two at a time. If there’s still water in the boiler of your manual machine, you may be able to add more coffee and pull more shots. If you’re someone who likes more espresso at a time or you live with someone else who drinks espresso at the same time you do on an average day, you may need something more high-tech than a manual option. If there’s a drink you love in a coffee shop, you can make it at home with an espresso machine, no matter which one you choose. If you like cappuccinos, lattes, flat whites, mochas, or any other drink with steamed or frothed milk, you’ll need a machine with a built-in steam wand or frother, of course, or you’ll need to purchase a frother separately and take care of that part of the drink-making process yourself. If you like straight espresso, Americanos, long blacks, or other espresso-based drinks that don’t involve steaming milk, you’ll be fine with just about any machine. Of course, some of these will require the machine to have special capabilities, like the ability for you to change settings (for example, a finer grind to slow down the extraction process to make a ristretto shot), or you’ll need to be comfortable working a manual machine. Most espresso machines are capable of making any kind of espresso drink you could want, though. Just be sure to look up how to make your favorite drink or drinks before you make your final decision and buy an espresso machine. That way there won’t be any surprises when you get the machine home, fire it up, and prepare to make your beverage. Espresso machines will only make one or two shots at a time. That’s usually enough for the average person or couple. Do you entertain a lot, or is this something you’re looking to purchase for the office? In that case, you’ll need to consider how a machine holds up to the demands of frequent use. Some machines, like the super automatic Jura Giga 5, can make 20-50 drinks per day, two at a time. If you need to make that much more than that, you’ll need to look at commercial options (expect to spend quite a bit more on those). There are some things you’ll want to consider that go beyond the basic design of your espresso machine when you’re looking for the best espresso maker. One person best could be another person’s nightmare or at least not a feasible option at the time due to budget or counter space limitations. The more automatic of a machine you get, the more you can expect to pay. Manual options are, of course, the least expensive (outside of the stovetop and AeroPress methods mentioned above). Super automatic machines will cost the most (usually at least $2000.00, but you may luck up and find one you like for as low as $500.00, so it’s worth a look). Fully automatic machines cost less than superautomatic but still more than semi-automatic espresso makers. Within each type, there’s also a range. You can spend a few hundred on some automatic machines, while some manual machines will set you back over $1000.00. So it’s worth a look taking a peek at all types of machines before you make your decision. If you’re on the edge between two machines and the one you like the most costs more than the other one, you may be able to factor in how often you go out for coffee and how much you’ll save by being able to make drinks at home. Don’t forget to factor in the cost of any extras you need (like a grinder or a kettle) and the cost of the espresso beans themselves, though. Depending on your level of comfort around gadgets and your patience for learning how to use new machines, the ease of use will be subjective. Of course, the automatic machines will be easier to catch on to than the manual machines (especially the super automatic ones versus just about anything else). If the idea of taking the machine apart to fill the funnel with coffee, attach the portafilter, tamp, attach another piece, then attach the whole shebang to the espresso maker itself, add water of the appropriate temperature, then carefully press a lever down to make the espresso sounds incredibly daunting, you’ll want to look outside of the typical manual espresso maker options. Maybe an AeroPress or capsule machine would be the best fit for now if your budget won’t allow for the majority of automatic options (the AeroPress doesn’t make true espresso, but it’s close, and the capsule machines are automatic options but not traditional espresso makers). If your budget is large enough for an automatic machine and you don’t want all the responsibility for making your espresso taste delicious–or capsules–that’s what you’re going to need to get. Of course, if you like working with your hands and doing all of that work to make a shot sounds like it could easily become a therapeutic part of your coffee-making ritual, a manual machine may not seem that terrifying to use at all. There’s nothing more annoying than a machine you use every day—sometimes more than once—that is completely tedious to clean. Capsule espresso machines are usually the easiest to clean, but that style won’t be the best type of machine for everyone. Any other type of machine will have a bit more of an involved cleaning process that includes removing and scrubbing parts either after each use or regularly (usually weekly). Any type of espresso maker comes in multiple sizes. Just be sure to measure the space you have for your machine and allow for enough room to work. Will you need extra counter space for a separate grinder or milk frother, or will those be stored in a cabinet? Once you’ve decided how much space you have and which type of espresso machine is the best for you, start to look at the aesthetics. There’s a lot of variety out there, so you’ll be able to choose one that matches your kitchen or that you just like the looks of. If it does, look elsewhere. These machines seem like inexpensive options that will get the job done, but they are unlikely to produce the delicious, creamy espresso you’re after. It’s wise to do a thorough read-through of reviews any time you’re about to spend a lot of money on a product. 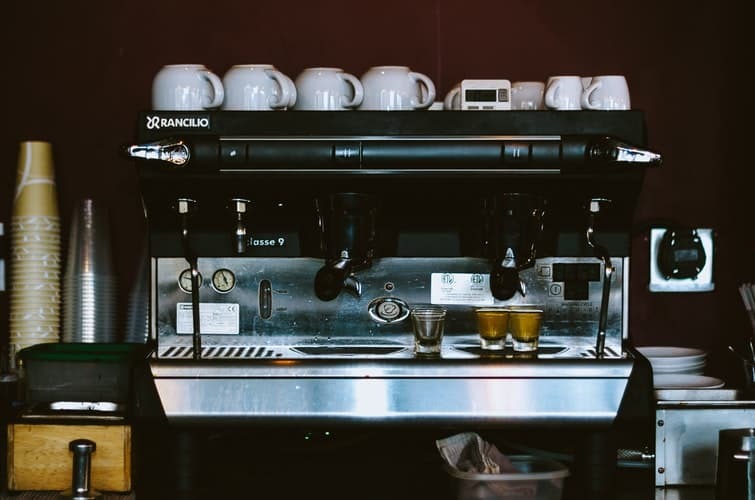 When you spend your money, you’re not merely purchasing your espresso machine; you’re spending money on a warranty, customer service, and the guarantee that the company will stand behind their product. Look for evidence that they’ll do just that. There’s nothing worse than purchasing something you’d hoped to have for years, only to find out it lasts for a few months and can’t be returned, replaced, or fixed without hassle. If you’re making an investment in an espresso machine, make sure you’re getting a warranty with it that you can feel comfortable with. These machines can cost several hundred to thousands of dollars, so you’ll want to make sure you’re covered if something breaks or turns out to be defective. Similarly, you’ll want to know what kind of customer service you can expect if something goes wrong or you just have a question about your espresso machine once you’ve purchased it. Check reviews online to see how the companies have responded to requests. You may also get a general idea of what to expect if you contact them with questions about a machine before you make a purchase. This is another place where those reviews from other customers come in handy. You want to know you’ll be treated with care and respect if you do have a problem, but you really don’t want to need customer service’s assistance at all. Ideally, everything will work smoothly on your machine for years and years. Look to reviews to see what types of issues other users have had with the machines you’ve narrowed it down to. Are there a lot of complaints? One issue that seems to keep showing up time and time again? Is that issue something easily fixed, something the company takes seriously and fixes quickly, or is it something that makes you want to look elsewhere for the best espresso machine you could buy? Does It Need to Be Programmable? Do you care if your machine behaves like your favorite barista and remembers your drink, or are you fine telling it just what to do each day? Do you even need room to customize your drinks a certain way, or are you fine with espresso that simply tastes good, not overpoweringly bitter? Do You Need a Frothing Wand? Again, you can have more or less control over how your milk turns out. Choose from a steam wand, automatic frother, or separate frother. You could even choose a simple, inexpensive, handheld frother. Does It Need to Have a Coffee Grinder? You may not care if your machine has a built-in grinder, but you should at least consider your options before making the investment in an espresso machine. A built-in grinder will take some of the guesswork out of it for you and won’t require additional storage. You could purchase your own grinder, too, to keep on the counter or tucked away in a cabinet. Keep in mind, making espresso requires finely-ground coffee beans, so you may not be able to find the coffee you want to use in the grind you need, in just any store. Another option, if you don’t want to purchase your own grinder in any form, is to shop online or ask your local coffee shop to grind your whole beans for an espresso maker when you purchase them. If you really get into creating your own espresso masterpieces, you’ll probably want to have your own grinder at some point. Espresso makers get the best results (taste and crema) from freshly ground coffee. So if you buy a bag of whole beans and have them ground in the coffee shop, then it takes you several weeks to make your way through the bag, you may find a decrease in the quality and flavor of your beverages as you near the bottom of the bag. Do You Need a Built-in Water Filter? The quality of your water can affect the flavor of your espresso, so you may want to consider a built-in water filter. Of course, if you’re already using filtered water, this is less of an issue. There’s no real secret to how to find the best espresso machine. Everyone has different needs and preferences. Any of the options have the potential to create delicious espresso beverages, but the manual versions may not accomplish that as quickly (there’s just more of a learning curve and more room for human error in the espresso-making process). Take some time and consider the pros and cons of each of the models you’ve narrowed it down to, then make your purchase and enjoy making your espresso at home.